The Straight And Narrow Gate Or The Well Traveled Path? This beautiful image from NASA and in particular the Chandra X-ray Observatory with optical data included from The Hubble Telescope. This star exploded and became a supernova a mere 330 years ago in Earth time. 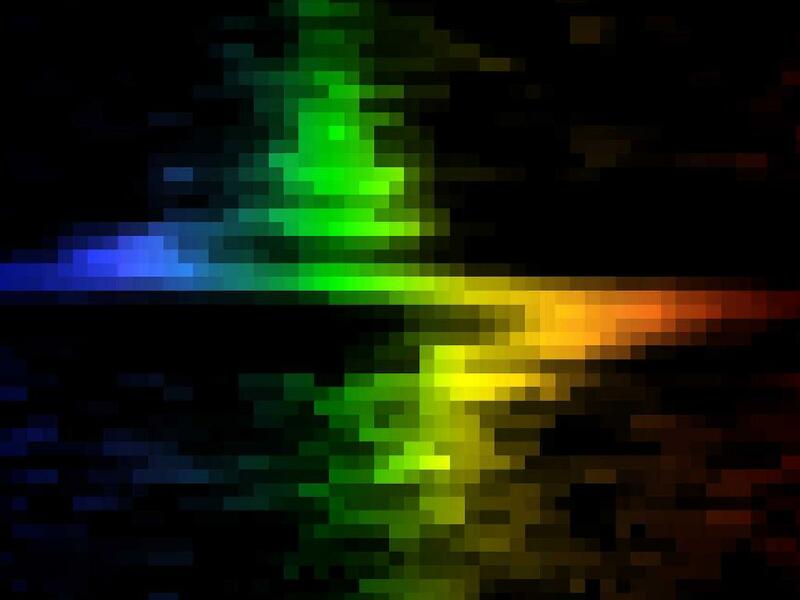 Cassiopeia A is seen in red, green and blue from x-ray data from Chandra and gold from the Hubble telescope. this supernova remnant is located in our Milky way Galaxy, about 11,000 light years away. 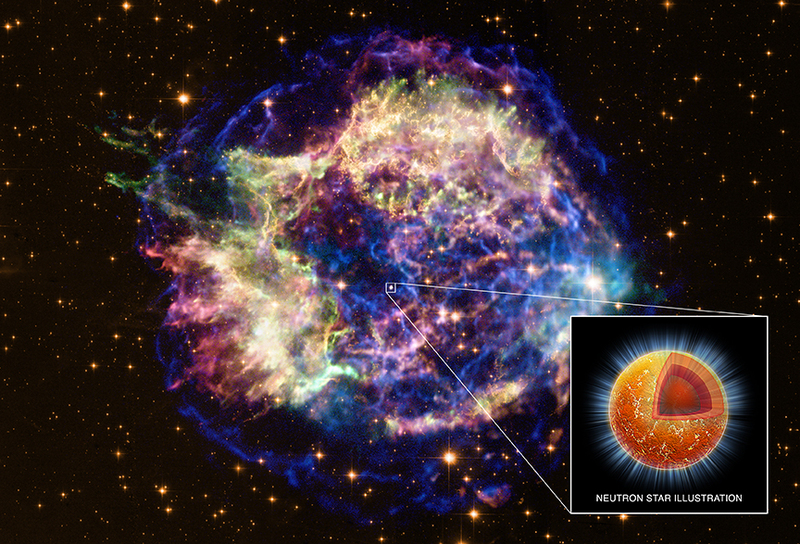 This remnant has a superfluous core that is a neutron star that is extremely dense and if I remember correctly, if the neutron star continues to become more and more dense than it may indeed surpass it’s ability to remain stable and explode. This is getting beyond my knowledge base and should be researched further. In a certain sense, we are given choices that determine our eternal course in this life. Jesus described these choices as between two paths that take us through either a “straight and narrow gate” or a “wide path” that leads to eternal destruction, and many go there. This is to many today somewhat of a simplified set of choices that seem to be somewhat outdated or even unrealistic. I can assure you that to those of you who doubt that life can be so simple as having these two decisions but it is as true today as it was in Jesus day! We can make the decision to reject the God of the Bible and live that very Godless life which consists of self-gratification and basic selfishness. These people try to do good things to try to satisfy their conscience and do it in the sight of others so that those acquaintances or so-called friends will think well of them but they are still empty inside afterwords when all is said and done, but they never really find true satisfaction, it is only when these people give up their efforts to find satisfaction in anything other than God Himself! They must fill that empty spot in their soul, that God shaped area that only God can fill and then and only then will they start to find true peace and fulfillment. This is the straight and narrow gate that leads to eternal life! It is a narrow path because our choices are limited yet well-defined by the maker of all things and He and only He has the right to say what is good in His eyes and we must obey! The thing to remember is that God truly loves us and only wants that which is best for us so we must give our will to him and simply “Trust”. Since He created us then he absolutely knows what is best! So then, will you surrender your choices to his guidance and simply trust Him? The narrow path is the best path for both you and I! Jesus said to His disciples “Follow Me” and we must do the same I have chosen to follow Him and my life has not been the same! I gave Him the title-deed to my life which he already owned but since he has given us free will, we must make the decision to allow Him to take control of our lives and He will do that which is best for our lives since He knows the future! Will you consider how well you have done with you in control of your life? Now consider that the Creator of the universe knows how to do it better, much better! Give Him a chance before it is too late! Our days are numbered and He is the only one who knows how much longer we have to make that very important decision and we do not! Once we die then our last chance is gone for ever! We are given plenty of evidence in the creation itself to know that He exists. The knowledge of Him is built into us but sometime during childhood, our society manages to put enough doubt into us to cause us to procrastinate and even deny that He exists. Very few people these days have the courage to actually act on what their inner being as well as all of creation is telling them. They would prefer to live without any restraints and refuse to give-up their “sin”. To admit that there is a Creator as well as a judge and lawmaker would put a crimp into their style and their sin is more important to them than anything else. Later we die without making that very important decision and then you are without hope because your life is gone for ever! God’s Son paid an incredibly high price to pay for your sins and it is offered as a free gift! Yes I said free. He is offering the gift of eternal life but you must receive it. Please consider that “Straight and Narrow Gate”, while you still can! We have a God-given purpose in life but without Christ in your life, you will never find it, no matter how hard that you try! You do not know the day of your death! God has given you a lifetime of chances to turn your back on sin, repent of your sin and receive the only Salvation available to mankind. The Lord said that the hairs on our heads are even numbered and so are our days on this Earth numbered as well! This saying about the gates and paths are based on: Matthew 7:13 , from “The Living Word of God”. No other source has the answers to all the most important questions in this life. No other Book has within it the past, present and future laid out and explained in a way that not only makes sense but provides the proof of its claims built into it through “the prophets” and the prophetic psalms as well. The historicity of “The Scriptures” has been proven by archaeologists. The scientific facts that only God could have known at the time of the writing of the old testament have also provided a substantial amount of evidence concerning its validity! Won’t you please consider these things while you still have time? I have spent my adult life struggling to manage all of the pain and suffering that arose for a variety of reasons in my life from childhood and am making progress. This outlet called blogging is also helpful because I have a great desire to share the extremely unusual events that I have seen and experienced. These things could even be called “Mind Boggling”. I have spent my adult life struggling to manage all of the pain and suffering that arose for a variety of reasons in my life from childhood and am making progress. This outlet called blogging is also helpful because I have a great desire to share my very unusual, even “Supernatural” life experiences and decades of study with the hope of helping other people learn to manage as well as correct their path in life spiritually as well as mentally, emotionally and help them to find the direction that we all truly need even though we may not be aware of those needs. My life has been a great struggle that has even driven me to not only consider suicide but attempt it as well!!! I intend to SHARE AS MUCH AS I CAN WITHOUT revealing too much. I was taking antidepressants as I recall and nothing seemed to work to alleviate my suffering and one day I saw my ex-wife who was responsible for all of this and that was a good part of the trigger that prompted me to swallow a couple of full bottles of strong pills and then went to sleep in my car outside of my mother’s house. You see, my mother played a big part in my decision to end it all at her house because she played a major role in my destruction, mentally emotionally as well as psychologically with the major role that my ex-wife contributed to together. It was similar to a tag team of hate! For those of you who might be suffering difficulty, I must caution you to absolutely forget any ideas of harming yourself or anyone else! It is not worth the pain and sorrow that you will actually, not only cause yourself when you wake up in Hell but it will also not do anything to get even with those who have caused you all of the pain and suffering that you are experiencing! You will be the big loser, not them! Suicide is NEVER a Good choice even when you think that there is no other choice available! Give it some time and even ask GOD to help you through this difficult period of time! God is the only answer but you must be patient because God works on His own timetable and not ours. These things eventually work themselves out if you will trust God! Give it some time and put your trust in God’s Son by “Faith Alone” and you will find “Eternal Life”! Eternal life is worth the supposed inconveniences that a person might envision because the suffering of this Earth that most people will experience at some point in their lives does not even compare to the pleasures that Eternal Life” has to offer. Jesus died a horrible death as a substitute for our sins so that we might have forgiveness of sins, allowing us to become children of God, adopted into the family of God! “The Native Olive Tree” is representative of believing Israel and the believers by “Faith” in Jesus “The Messiah” are figuratively grafted into the Olive tree as wild branches or adopted into the “Family of God” by adoption of sorts. God is gracious and loving, wanting all to repent and receive His Son! I have a responsibility, given by God, to teach you what God has allowed me to learn about Him and a “Spiritual Gift” called “Discerning of Spirits” which has allowed me to see and recognize the spiritual condition of those who have come into my life. I have also been allowed to see the “Spiritual World”, including demons and Satan himself when I was younger. There is great evil actively working against the “Body of Christ”, which Christ is the “Head”. Nothing happens without the foreknowledge of God and the condition of the “Church” or “Body of Christ” in the western world and America in general, is in bad shape. The Church has become soft and “Worldly” and has turned from the great commission as was given by Christ before he ascended back into heaven. We in America have become soft and are not in the “Battle”, in a way that makes Satan concerned at all. We are not making many true converts and discipling them while directing them to a true Bible believing Church to be built-up in their new found faith. The great mistake that the Billy Graham evangelical association made during the early days of their crusades was to not provide the discipleship that they needed by being provided a nearby Bible believing congregation for the support that they desperately needed to provide that stability that a congregation provides! 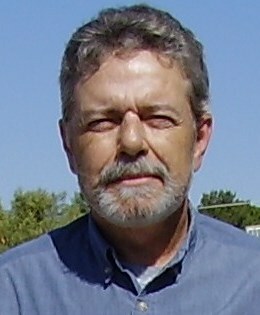 My desire is to provide that basic teaching that helps to open the eyes of the lost who are seeking the “Truth” in a world that says: there is no truth and do what ever you want because your truth is your own and there is no such thing as “Absolute Truth,” such as the Holy Living Word of God ” that truly provides all truth. Do not be deceived all who reject God’s truth will die in their sins and suffer in torment forever! Give God a chance by asking Him to reveal Himself to you, through Faith in Him for without Faith ,it is impossible to please God! The Warfare that we are in comes as a surprise to the average church-goers who see it as a concept at best and not as a real battle, with the Body of Christ as the target! We all must be made aware to this very real fact that the spirit world is battling between the Holy Angels and the unholy fallen angels for the souls of all mankind! The evil that is progressing in the visual world is blamed in part on things like poverty but the majority of this world has lived in poverty, by American standards, throughout the history of man. Their has never been equality. Jesus said that “the poor will always be with you”. We need to find out what our “gifts” from The Holy Spirit are and then put them into practice within the body of Christ. These gifts are meant to primarily edify “The Church” and also help to open the eyes of true believers to this battle that is going on in their midst! The Spiritual Gifts from The Holy Spirit are provided to believers when they receive Eternal Life through Faith in their LORD and Savior, Jesus The Messiah or The Word of God who set aside His Prerogative to remain seated on the Throne of Glory, at the Right Hand of The Father. He then, chose to be born a human being, who are created in the image of God. It was Love that caused Him to do this and pity for this vast sea of humanity who were like sheep without a Shepard, wandering to and fro without hope. Mankind had been cursed along with all of creation and without a sinless Savior to become the Final and most complete sacrifice, there was no hope for humanity. After Our LORD paid the Great Price for our salvation, He then returned to Glory and 10 days later He sent the promised Holy Spirit at the time of Pentecost which meant that Jerusalem was filled with those who chose to worship the God of the Jewish people. This was the beginning of the “Church” which is the body of Christ, Also known as the “Bride of Christ” who will someday be snatched away to meet The Lord in the air or upper atmosphere which is the “Second Heaven”. Actually, it could be anywhere, from where the clouds are to the outer atmosphere or “space”. Now back to the “Gifts of The Spirit“. Each “true believer” receives at least one spiritual gift and these are available in the books of 1st Corinthians chapters 12, and 14, 1st Peter chapter 4, Ephesians chapter 4, Romans chapter 4 and of course in the book of Acts which describes the coming of The Holy Spirit at Pentecost. I can not speak very much in-depth about the gifts that I do not personally have but know that at least one of the gifts that I have is “Spiritual Discernment“. Spiritual Discernment is a gift that is very important today but not many seem to have it or they do not yet realize what it is or how to use it! I have found that this gift is somewhat threatening to people, sometimes because members are not certain of their own salvation! If a person with Spiritual Discernment was incorporated into every body of believers then the “Chaff” would be recognized for who they are and removed or made to understand that they are at best seekers and are not allowed to take communion or take part in Church leadership at all! Today is a time like no other in the history of the Earth. The battle is raging for the hearts, minds, and souls of our children. The enemy of all mankind has conceived all manner of traps, snares, and deceptions to keep or prevent as many human beings from knowing the Truth which is God’s Truth and no other. The battle is on Earth yet the primary players are in another realm or dimension. This takes an incredible amount of “Spiritual Discernment” as well as caution when defending against an invisible enemy who hates all of humanity because we are created in the image of God and because God is their primary enemy. That which makes it even more difficult to understand is that the battle has already been won by “The Word of God”, when He died on the cross and paid the sin debt for all who will believe a simple yet astonishing truth. “We are “Saved By Faith”. All other religions are in one form or another, “works based” in their understanding of what is “good” and what is needed for atonement, of one sort or another. The description of this spiritual battle in the Bible has proven to be absolutely true. I know this from personal experience yet it has taken decades for me to even begin to understand why I have seen and experienced all that I have. I finally turned to the Bible after God personally stepped into my life at the age of 30. There was a long interval where I was like a ship without a rudder because I received Christ as my Savior at the age of 6 and for a variety of reasons why, it took a long time for me to look to “The Book” for some answers. The main reason is, my parents were not saved and soon afterwords stopped taking myself and my siblings to church. Then not long afterwords, they divorced and I was never properly discipled. The “Word of God” is now like daily food that is every bit as important as food for the body. The better the nutrition for the body then the healthier will be the body, and it is the same for our soul and spirit! Without feeding daily on God’s word, we become not only malnourished but leave ourselves open to attack by “the enemy”. This does not mean that we are not attacked daily any way, it means that we are better prepared to resist the attacks. I have found that for me it is necessary to listen to the audio Bible daily if possible as well as listening every evening to as many of my favorite Bible expositors as possible. Since I live alone it is possible for me to spend most of my waking hours filling my mind with God’s truths. It is something like an immunization. The enemy still tries to get a foot-hold in my life but when his attacks happen, I know why and do not turn and run but stand my ground with the addition of spiritual armor from God and can even use the Lord’s offensive weapon which is God’s Word! The “Spiritual Gifts” today are more important than ever in my opinion because the church has been invaded by false Christians and it is primarily the fault of the Church leaders, who for a couple of reasons at least have allowed anyone with money in their pockets to join or simply attend to support all the Church activities, as well as because of pride, which is to increase their numbers and become larger than their competing Churches in their area. I know that this sounds harsh and it is, but the truth needs to be made known. The Body of Christ is in trouble for the lack of integrity and for the lack of concern for the purity of “The Body of Christ”. These children of Satan have infiltrated into the Church , just as they have into our government and worked their way into leadership and are steering the Body of Christ down the wide road that leads to destruction, just as they are doing to our country! The true believers have been deceived into thinking that all of their church activities are somehow accomplishing Christ’s mission for His Church. The leaders have ignored the importance of the “Spiritual Gifts” that work to keep the “Body of Christ” healthy and protected from the wiles of the devil. Lets face it, the Church is in trouble! Without these gifts being incorporated into the “Body”, we have fallen into the hands and plans of Satan, which is to divert the attention of the Church onto less important things and projects instead of winning souls and seeing that they are properly discipled. One of the main issues that arose in the “Billy Graham Crusades” was that these people who were making decisions for Christ were not being steered to Godly churches to be properly discipled. Therefore the majority of those who made decisions for Christ, fell away! Many never returned to The Lord. Some did return, but later in life! The Primary Purpose of the Church is to Love and worship our Creator with praise and thanksgiving while seeking to obey the “Great Commission” which is to go into all the world and preach the Gospel. We Are also commanded to “love one another”.The Gospel means “Good News”. That is the good news that our Creator and Redeemer has come and paid the great price which was necessary to save us from our sin debt which is owed to a Holy God who must be satisfied by a pure blood sacrifice and only Christ Jesus could pay it! We in the body of Christ need to not only worship God but we are to seek and to save the lost with that same good news. It is actually The Holy Spirit who regenerates the spirit. Our job is to plant the seed of the Word of God and also water the seed that has been planted by others and the Spirit gives the growth. After we have our worship and fellowship, we are to do these very things in our own neighborhoods and at work and even in our schools and government. We are not to fear the repercussions from unbelievers who jeer and ridicule Christians who truly live out their faith and are obedient to God. These things are to be expected and Jesus Himself said”Because they hated Me, they will also hate you”. And they do, especially if you are obedient! The ungodly want us to hide in our churches and our homes and keep the Word of God out of their hearing and to a great degree they have succeeded in browbeating us into submission. When was the last time that you witnessed to your neighbor or someone at work? It takes courage to risk being rejected yet we are commanded to do just that and be prepared for ridicule and scorn! We are also to go into ALL of the world and not just our neighborhoods. There are millions dyeing every year and going into a Christ-less eternity. If we are not personally called to missions then we are called to support those who do go into the mission field! We are to GIVE even until it hurts and then give even more. I must confess that I am also guilty! I have plans to support missions in a big way as soon as the Lord provides the mineral wealth that I have sat on for the last 24 years. It is all according to his timing and his timing is not my timing, as I have so painfully learned through these many years, even decades! How can we today truly purify the Church, because the body of Christ has become so very worldly? The prosperity in the western world, and America in particular, today has made the” Body Of Christ” soft and weak! We have become factional, divided into a variety of Christian clubs with many divisions and many distractions that keep the Church from its God given course of action to “GO” to seek and to save the lost. We need to take a hard look at the early Church and how they worked as a unit, although scattered around the known world through persecution which was hard yet healthy for the True Church. Affluence has made the body of believers soft and unprepared for spiritual warfare which will come as unexpectedly as is needed for the lord to shake the Church into submission and into obedience to God’s Word. Let it happen soon! NASA released this single image of a super-massive black hole taken by the Imaging Spectrograph aboard the Hubble Telescope. It is located in the Virgo Cluster of galaxies and near the center of the M84 galaxy in particular. The black hole is large enough to fit 300 million of our suns within it, which is referred to as 300 million solar masses. Relatively near by in the M87 galaxy, there is another super-massive black hole . This amazing object is turning or spinning at the speed of 880,000 miles per hour! In God‘s Word it says that the Heavens speak of the Glory of GOD and the Hubble telescope as well as the other types of telescopes in space and on earth likewise speak of His Magnificent Glory! http://www.biblegateway.com/usage/votd/votd.swf Check out my about.me profile! I am doing my best to share all that The GOD Of Creation has so miraculously allowed me to see and experience, throughout my 10 blogs. I will create a list to guide you to them!